When I last posted I hadn’t finished the latest month of patterns in the Janie Crow Mystery Blanket Club…..but I have now! There were a few beads in this set. It is a long time since I used beads in crochet, so it was lovely to have the chance to do it. Also I’ve been doing some detective work, and I predict some beaded ‘catherine wheels’ in a month or so and a large central beaded flower…. watch this space to see if I am correct! Really lovely. Wish there was a knitted version! Debbie Abrahams does a mystery club, I think there is a mystery cushion one open now. 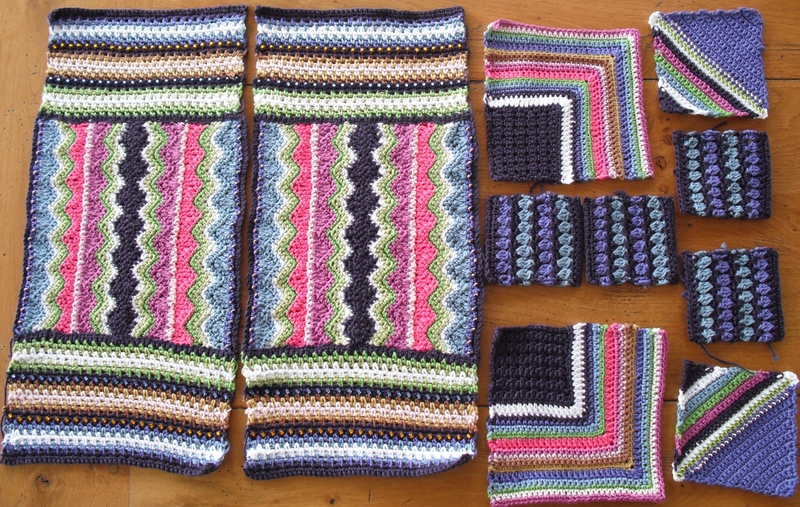 Similar vibrant colours and beads – but knitted!